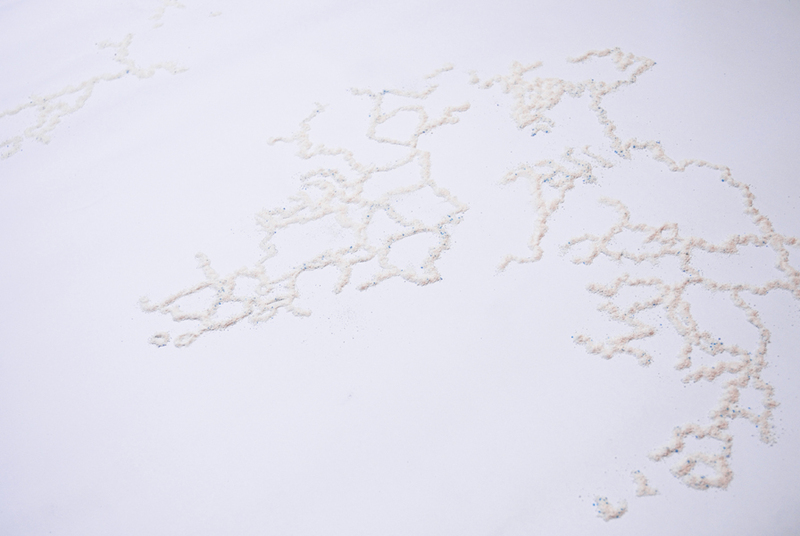 The installation is a floor drawing made of white soap powder that reproduces the planisphere. 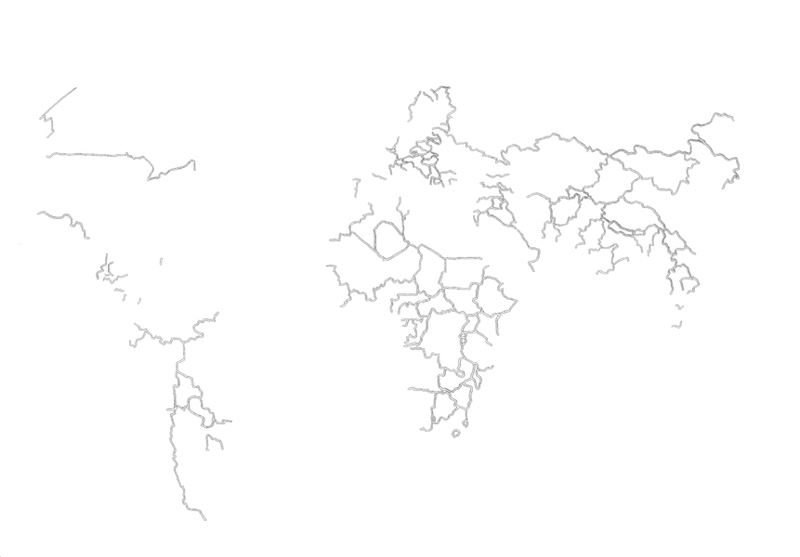 At a first glance, the shape is not distinguishable because it consists only of the geopolitical borders. I think that the soap powder is especially evocative because it’s strictly correlated to a sense of renewal and regeneration. Moreover, the powder suggests an unstable equilibrium, something that tends toward an irregular expansion in space and toward a loss of its original shape. In all ages human beings have had the need to delineate space, especially the geographic one. The human mind does not feel comfortable conceiving of a space without boundaries, but prefers to delineate it with a physical shape. Therefore the geographical borders could be defined as simplified models of the boundaries that perception imposes to fix. Borders comprise both the elements of separation and union between different spheres; that is to say they locate a kind of “exchange zone” between the others and us. On a social level, however, the exchange and the open attitude cannot always be guaranteed, especially when society establishes a boundary to discriminate those it considers “different”. I think that nowadays, more than in the past, the nature of the boundary is more changeable and ephemeral than the geography suggests.